Due to outbreaks of the Ebola virus and continuing lingering challenges to the recovery of the region, the Department of Homeland Security designated Guinea, Liberia, and Sierra Leone for Temporary Protected Status (TPS) status in November of 2014. Because of the conditions in all three nations, on March 22nd, 2016, DHS extended this designation for an additional six months, according to Berd & Klauss, PLLC, an immigration law firm in New York. Form 1821, Application for Temporary Protected Status (if you are re-registering, the application fee is waived). Form I-765, Application for Employment Authorization (this must be submitted even if you are not requesting an Employment Authorization Document). The application fee or fee waiver request for Form I-765 if an EAD is requested. Biometric services fee or waiver request for all applications aged 14 and over. During this TPS extension, beneficiaries will be eligible to receive Employment Authorization Documents with an expiration date of November 21st, 2016. However, individuals whose EADs are set to expire before the end of the re-registration period will have their EADs automatically extended by six months. Whether you're looking for help taking advantage of your nation's TPS status or have questions about immigration into the United States, the immigration attorneys at Berd & Klauss, PLLC have the legal services and experience to provide the assistance you're looking for. 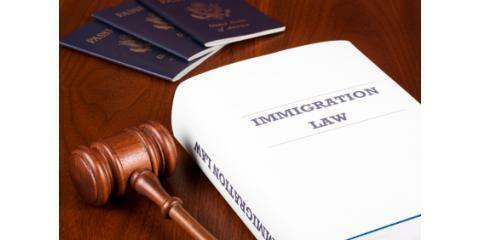 Their team of professionals will help you navigate the considerable difficulties of the American immigration law system, working hard to achieve the best possible outcome for your case. Visit Berd & Klauss, PLLC online now to learn more about their legal services and expertise, or call (212) 461-7152 to schedule a consultation with an immigration law attorney today.